Kindergartners in Muskegon County to get savings accounts, with $50 already deposited. Every kindergartner in Muskegon County will get a college savings account when they start school in the fall. Those accounts will start off with $50 already in them, thanks to the Community Foundation for Muskegon County. Foundation president Chris McGuigan says about 2,000 kids will get the accounts this year. "We wanted this to be a cultural change,." she says "We wanted it to be a Muskegon County-wide expectation." That goes for all incoming kindergartners in the county this year, whether they go to public or private school, regardless of their parents' income. "We’re not interested in identifying kids as at-risk or more needy or anything," McGuigan says. "We’re not interested in applying those labels because we’re not sure they’re helpful." Muskegon already has a scholarship offer to all students in the area that covers tuition costs for the first two years of school at either Muskegon Community College or Baker College. McGuigan says the new savings accounts will work along with that program, to help kids and parents plan for their higher education. "We realized that incentives to finish high school and to imagine a productive life after high school had to be in place really early," McGuigan says. Parents can add to the savings accounts as the years go on. And that money can be withdrawn, as it can for any other savings accounts. But any money added by the community foundation will have to be used for post-secondary education. That could include college expenses for things like books and tuition, or for technical training after high school. The program is modeled after one already in place in Barry County. 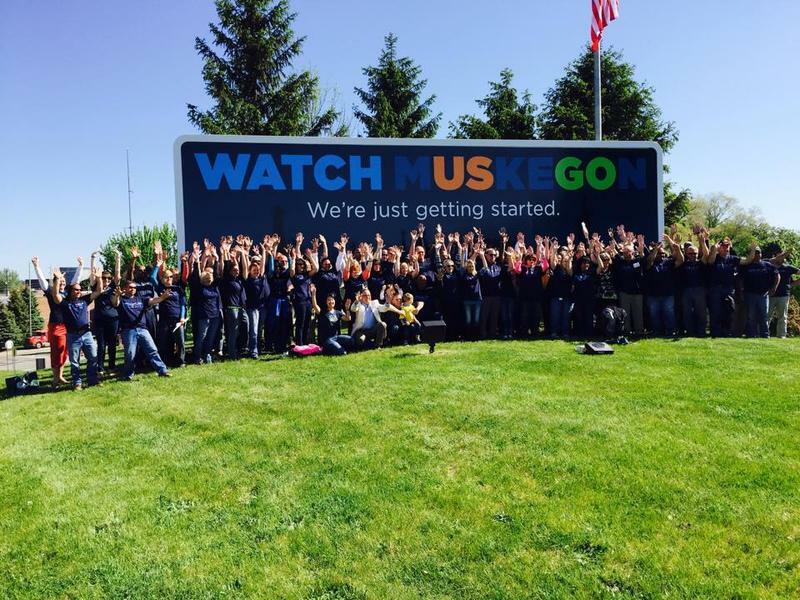 Muskegon is marking the unofficial start of summer with a rebranding campaign. Leaders in Muskegon are trying to improve the lakeshore community’s not-so-great image. “It’s changed a lot, I would say, in the last 15 years,” said Cindy Larsen, president of the Muskegon Lakeshore Chamber of Commerce.